CRM Students reached out to eventeem to support their accommodation marketing activity throughout the year. 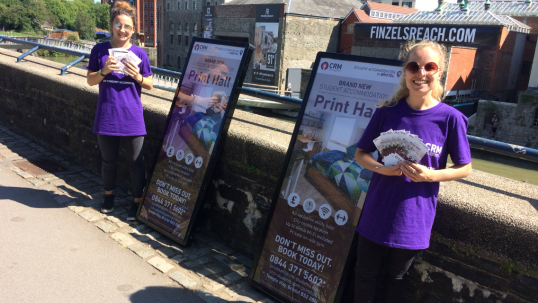 They not only needed teams of dynamic, approachable promotional staff but needed to ensure their branding was highly visible, achieving maximum reach in the vicinity of the promotions. Staff would need to exude the CRM ethos whilst approaching all students that may be looking for accommodation. 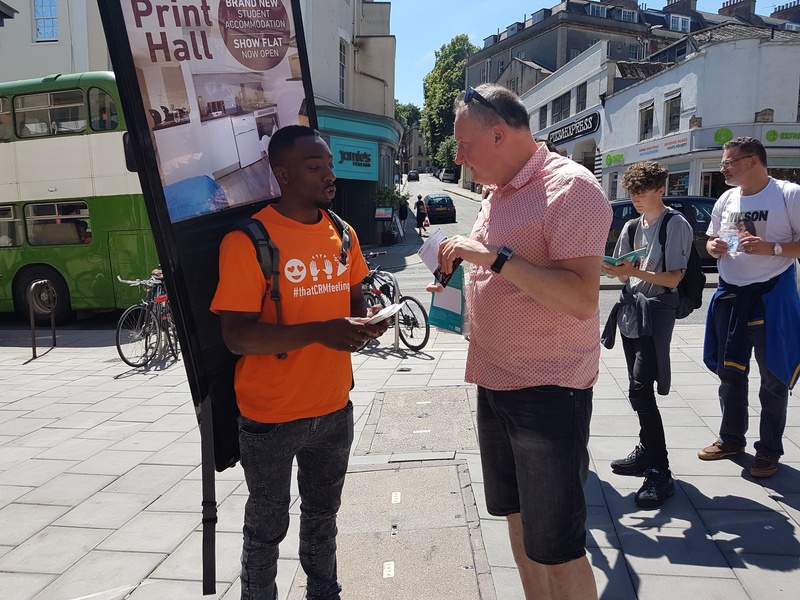 Eventeem provided teams of local Brand Ambassadors and Team Leaders in each location who could really connect with students and speak to them in a friendly, enthusiastic manner, making them feel at ease whilst discussing their accommodation plans in what could potentially be their new city of residence. Our staff guided them to nearby showrooms and pointed out the CRM website for any students who wanted further information. We also provided MediaWalkers with bold, illuminated CRM branding for maximum impact. We initially provided promotional staff in Cardiff for CRM, and since then the account has grown from strength to strength with many successful activities having been completed throughout the UK. This team are amazing and a complete success. Can you please arrange for their appointment to extend?